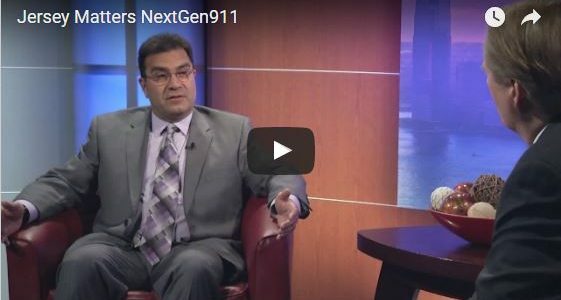 West Long Branch, NJ (October 29, 2016) – On Saturday, V‑COMM President Dominic Villecco was interviewed on an NJTV News segment titled “Jersey Matters” by award-winning journalist Larry Mendte about NextGen911 and the State’s 9-1-1 fee diversion issue. Dominic spoke with Mendte on behalf of the New Jersey Wireless Association (NJWA), for which he is currently acting as Vice President of the Board of Trustees. V‑COMM is a leading provider of network engineering, radio frequency engineering and related business services, with offices in Cranbury, New Jersey and Exton, PA. V‑COMM delivers the needed expertise and cost-effective solutions to governmental agencies, wireless operators and commercial entities. V‑COMM also provides design and design/build services for In-building, In-tunnel and other wireless telecommunications networks. For more information, visit our website www.vcomm-eng.com.